Virtual reality (VR) offers immersive experiences in which users can hear, see, and interact with 360-degree digital environments using head-mounted displays (HMDs) and handheld motion devices. 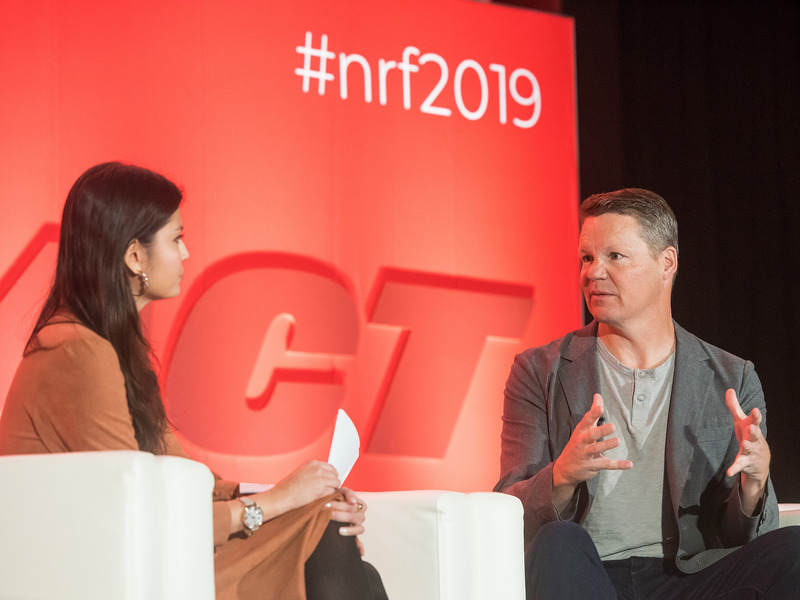 The technology has been historically associated with consumer-facing gaming, but it's been gaining traction in the enterprise over the past year. In fact, companies such as Macy's, Lowe's, Walmart, and UPS, among others, have all launched new VR programs since 2017. 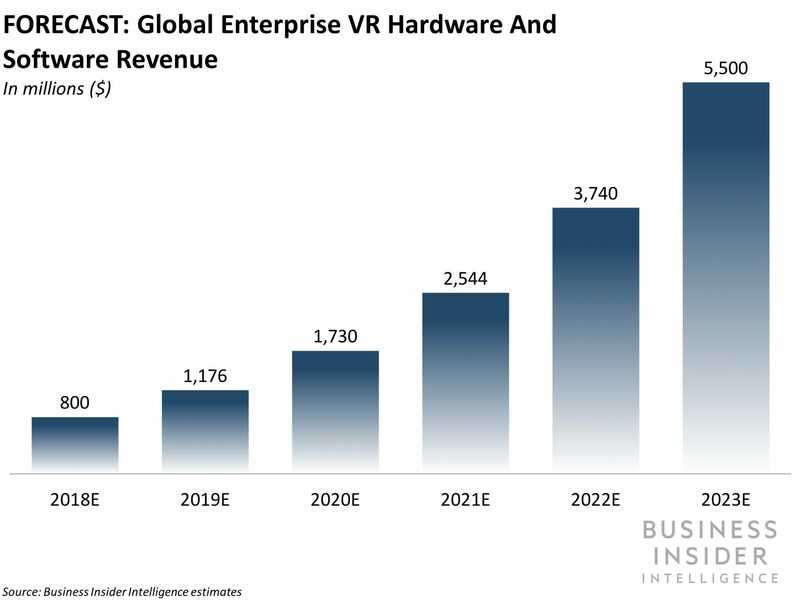 And as more businesses look to tap the technology, this will drive enterprise VR hardware and software revenue to jump 587% to $5.5 billion in 2023, up from an estimated $800 million in 2018, according to Business Insider Intelligence estimates. This shows that retailers and brands should look into implementing VR as early as possible to better compete with other industry players who've started to use the tech, especially in three key areas: sales, employee training, and product development. All of the companies mentioned above are using VR to in at least one of these areas, enabling them to increase product sales, reduce product design costs, or speed up employee training processes, for instance. In the VR In The Enterprise report, Business Insider Intelligence explores how VR can provide value to retailers and brands in three areas: sales, employee training, and product development. The report begins by discussing potential pain points the technology addresses for each use case, examining in-depth case studies to illustrate how companies have implemented the technology, and outlining the broader takeaways each use case presents for brands and retailers. Finally, it looks at some of the potential barriers to further enterprise adoption and how both companies and VR incumbents are actively addressing those obstacles. The companies mentioned in the report are: Audi, Lowe's, Macy's, McLaren Automotive, Walmart, and UPS, among others. VR enables consumers in brick-and-mortar stores to make more informed purchases, which could increase sales conversion rates. Brands and retailers looking to ramp up their employees quicker should consider bringing VR into their training processes. The tech can shorten brands' and retailers' product development life cycles by cutting down on the time associated with building expensive physical prototypes. Identifies key VR vendors and device form factors for businesses to consider. Discusses key benefits the tech brings businesses for their sales, training, and product development processes. Illustrates those key benefits by discussing real-world case studies from companies and the takeaways from those implementations. Harley-Davidson is preparing to release its first electric motorcycle, the LiveWire, in August. The company hopes the bike will appeal to urban consumers and present a low barrier of entry for people new to motorcycles, Marc McAllister, Harley-Davidson's vice president of product portfolio, said in an interview with Business Insider. Harley-Davidson said in a 2018 investor presentation that it plans to introduce at least two more electric motorcycles by the end of 2022. Harley-Davidson is preparing to release its first electric motorcycle, the LiveWire, in August. The company hopes the bike will appeal to urban consumers and present a low barrier of entry for people new to motorcycles, Marc McAllister, Harley-Davidson's vice president of product portfolio, said in an interview with Business Insider. "EV lends itself extremely well to growing the next generation of riders when you think of its ease of entry and its ease of use for non-motorcyclists," he said. While gas-powered motorcycles require drivers to shift gears, a process that can be difficult to learn for new riders, the LiveWire's electric motor eliminates the need for gear-shifting; riders need only to twist the throttle to make the LiveWire accelerate. The motorcycle will also feature ride modes that can be tailored to the owner's level of experience. An inexperienced owner can opt to have the vehicle's maximum power output reduced, for example. "It's less intimidating to jump on and learn how to ride," McAllister said. The LiveWire will also be nimbler and more agile than Harley-Davidson's current offerings, McAllister said, another benefit for urban riders. Appealing to urban consumers is a priority for Harley-Davidson due to the global trend toward urbanization, but the company's gas-powered motorcycles are less suited to urban riders than the LiveWire due to their size and riding styles, McAllister said. "Getting great at delivering urban riding experiences is something that we see the future needing us to do." The LiveWire is tailored to urban riders in part by necessity. 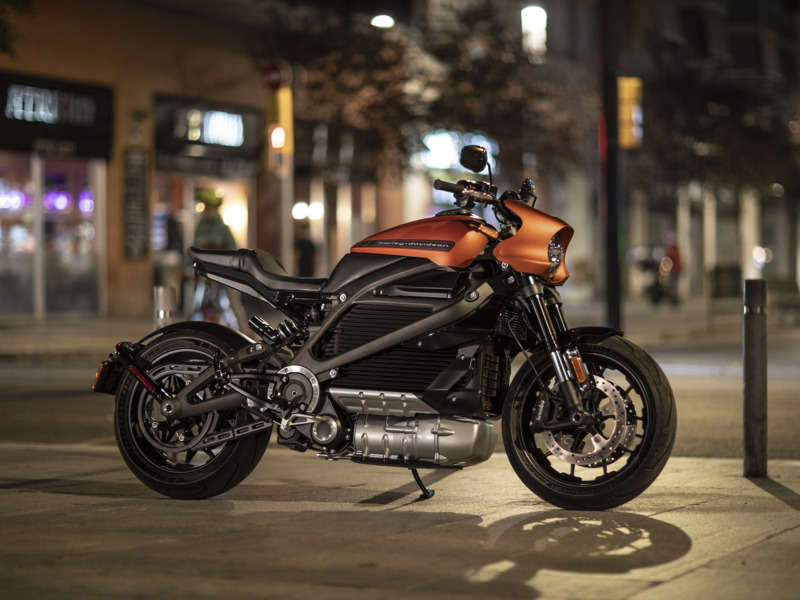 Harley-Davidson says the LiveWire will have a range of around 110 miles, which is fine for many commutes, but could make road trips difficult. "[The LiveWire] lends itself to an urban usage because you're going to end up at home," McAllister said. For "most people's normal usage, this vehicle has more than enough range." For riders who need to charge away from home, Harley-Davidson dealers that sell the LiveWire will have fast-charging stations available once the vehicle is released. Around 150 dealers will sell the LiveWire at first, and the number of charging stations will expand with the number of dealers that carry the vehicle. Starting at just under $30,000, the LiveWire is priced at the high end of Harley-Davidson's offerings, but McAllister suggested the LiveWire will be among the most expensive electric motorcycles the company will offer in the coming years, the most affordable of which will begin at "a few thousand dollars." McAllister declined to say if Harley-Davidson planned to make a specific percentage of its portfolio electric in the coming decades, but the company said in a 2018 investor presentation that it plans to introduce at least two more electric motorcycles by the end of 2022. 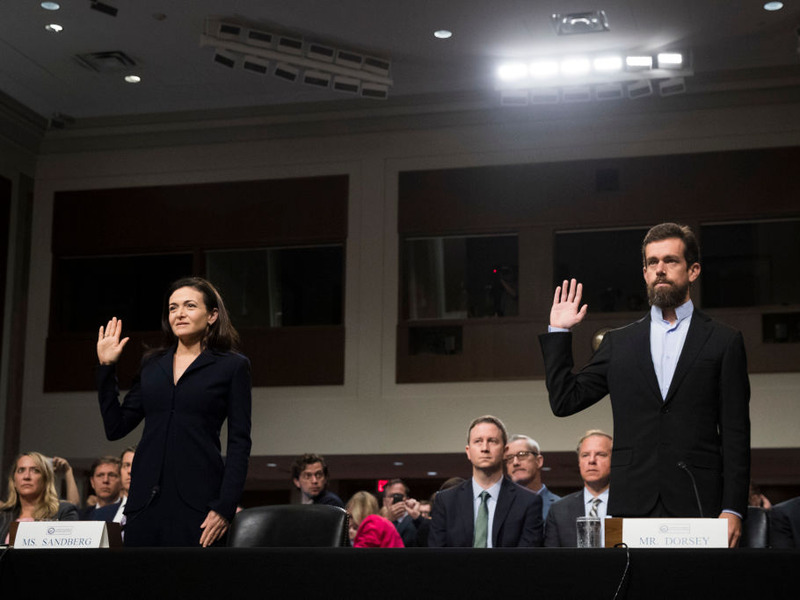 And users criticized the Facebook exec for not taking questions. 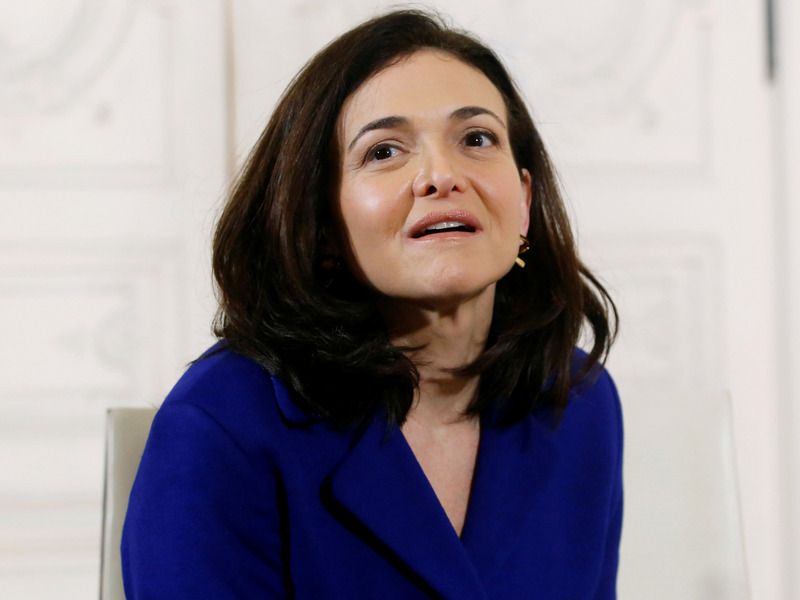 "I don‘t agree w/ [Sheryl Sandberg]. #Trustbuilding is not presenting a perfectly read out but distanced speech. Trustbuilding would have been to be authentic and to agree on a Q&A session." Log-management startup Scalyr announced Thursday that Christine Heckart, formerly a senior vice president at Cisco, will become its new CEO. Scalyr was founded by Steve Newman, who previously founded Writely, the startup that Google acquired and turned into the original Google Docs. 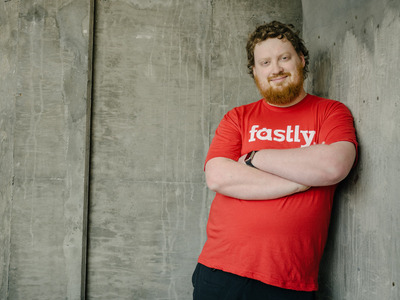 Startups like Scalyr that are specifically targeted at developers and help with debugging code are growing quickly, so Newman wanted to find a new CEO with experience in scaling and growth. Heckart was drawn to Scalyr because of its culture and because she believes the company is creating technology that can make an impact. 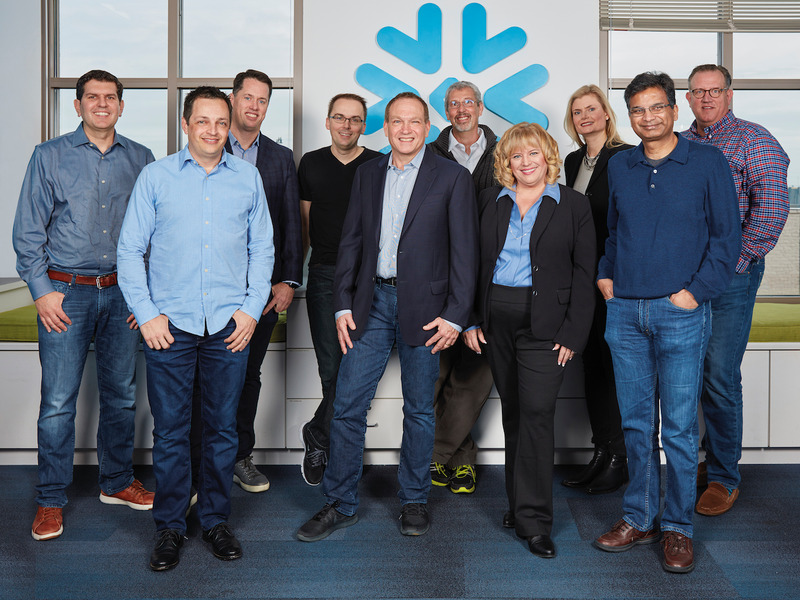 It took only two meetings for Cisco's former senior vice president, Christine Heckart, to realize that the log-management startup Scalyr was where she wanted to work as CEO. Scalyr announced Heckart as its new CEO on Thursday, replacing founder Steve Newman. Newman, who will become chairman, is best known as the founder of Writely, an online word processor that Google acquired in 2006 and used to build the first iteration of Google Docs. 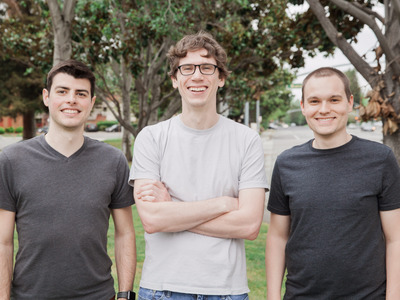 After the acquisition, Newman left Google and set out to create a tool for engineers to help them troubleshoot code, which would eventually become Scalyr. Customers including TiVo, OkCupid, and even us here at Business Insider use Scalyr to help debug and optimize applications — a market that's heating up in the software economy. "What I go towards is the chance to change the way work gets done, to change the world in some meaningful way," Heckart told Business Insider. "If Scalyr can help engineers around the world, if it can help them do their job quickly, we can provide a value to the world that impacts and touches every person in every way." 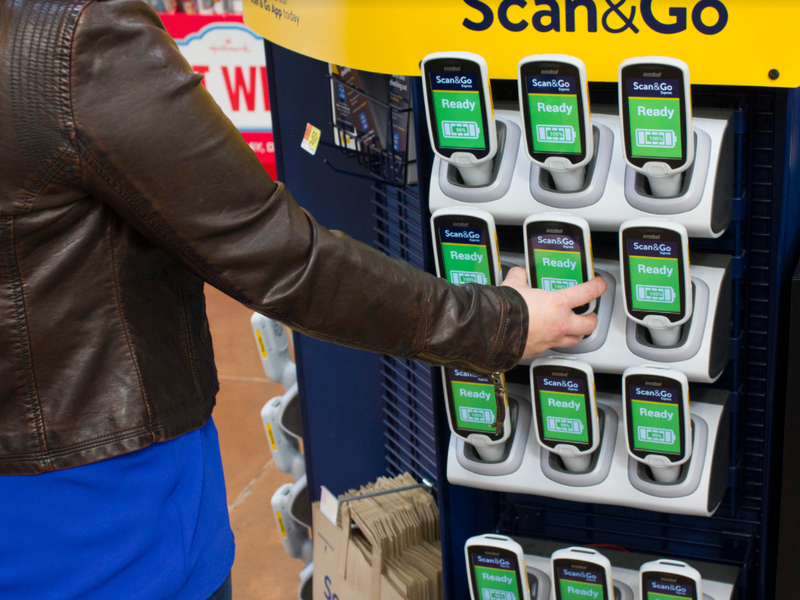 Scalyr was most recently valued at $155 million at the time of its $5.5 million funding round in 2018, according to PitchBook. Investors in Scalyr include GV (formerly Google Ventures), Bloomberg Beta, and Shasta Ventures. Last year, Newman started looking for a new CEO, someone with the business acumen to accelerate the company's growth while he redoubled his focus on the technology. 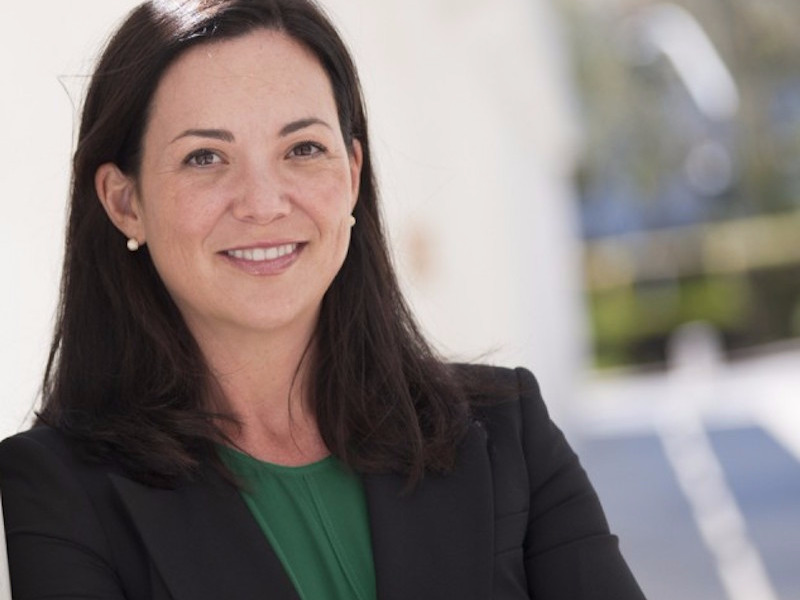 Heckart came recommended by a mutual friend of hers and Newman's who knew that she wanted to leave Cisco and try her hand as a CEO for a second time. "I had run a company before," Heckart said. She was CEO of a company called TeleChoice before her Cisco days. 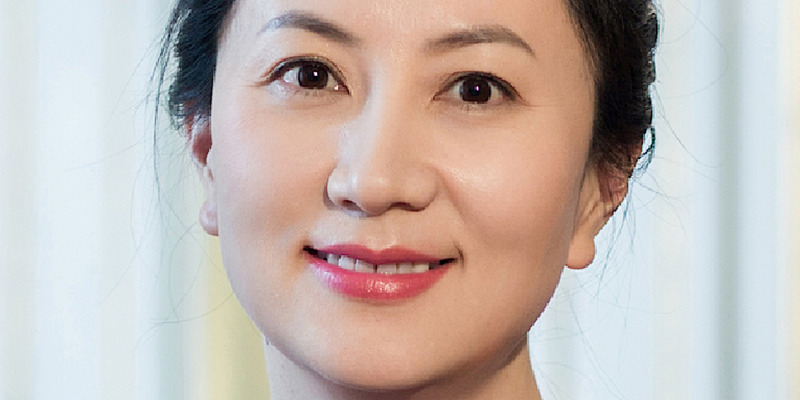 "When I had small kids, it was hard to do that, so I went back to executive positions for a while, but I wanted to go back to being a CEO of a small company." Heckart had been approached by five or so companies about coming on as CEO, she said, but it took only two meetings for her to know that Scalyr was by far the best fit. "After I spent time on campus, I was getting a good sense of the culture," she said. "I went home and told my husband, 'This is the one I want. Even if this doesn't work out, that comparison told me that those other companies aren't the right ones for me.'" When Scalyr approached Heckart, the No. 1 thing that stood out to her was the culture and diversity of the company. She saw that Scalyr was more inclusive and valued cognitive diversity, meaning different styles of problem solving. To her, that was a sign that Scalyr was the right place to be. "That wasn't an accident. From the very beginning, Steve and the leadership team built it for cognitive diversity," Heckart said. "It makes a huge difference, not only in the employee experience. It also makes a huge difference in the success of the company." Heckart said that although she's run a company before, this will be her first time being CEO of a venture-backed Silicon Valley startup, which comes with its own unique set of pressures, especially since Scalyr offers a niche product for developers. Still, nowadays, there's a lot of money to be made in catering to developers. "Kind of like how eyes are the window into the soul, logs are the window into performance and applications," Heckart said. "While it sounds esoteric or incredibly tactical, the right log-management tool not only makes the engineer more successful at their job; it helps them get home and see their kids on time. It helps them solve the problem." Heckart said she isn't planning any dramatic changes to Scalyr's strategy. The company already has plenty of momentum, so she has the good problem of making sure that it continues. From Cisco and the other tech companies she's worked at, she hopes to bring her experience in growth and scale. "There's so much momentum here already," she said. "My job is to build on it, to help us really connect with those users, to make sure all the users know about this tool and we bring them together in a community. 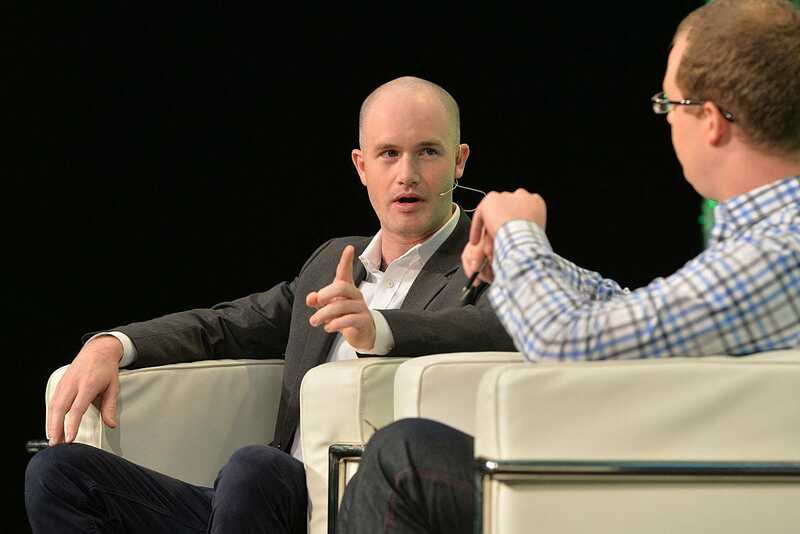 We have the chance to build a really powerful community and ecosystem." Axios's Ina Fried reports that Srouji is on Intel's short list for chief executive. This follows Bloomberg reporting Monday that several talked-about candidates are no longer in the running, including former Motorola CEO Sanjay Jha and two former Intel executives, Anand Chandrasekher (who a former Qualcomm president) and Renee James. As we previously reported, James is now CEO of her own chip company, Ampere. She worked like mad to get her company off the ground and says she's incredibly happy working for herself at the moment. Bloomberg reported that some of the candidates turned Intel down. Srouji would be a stroke of genius — and a stroke of luck — for Intel, if they could lure him away from Apple. That's a big if. 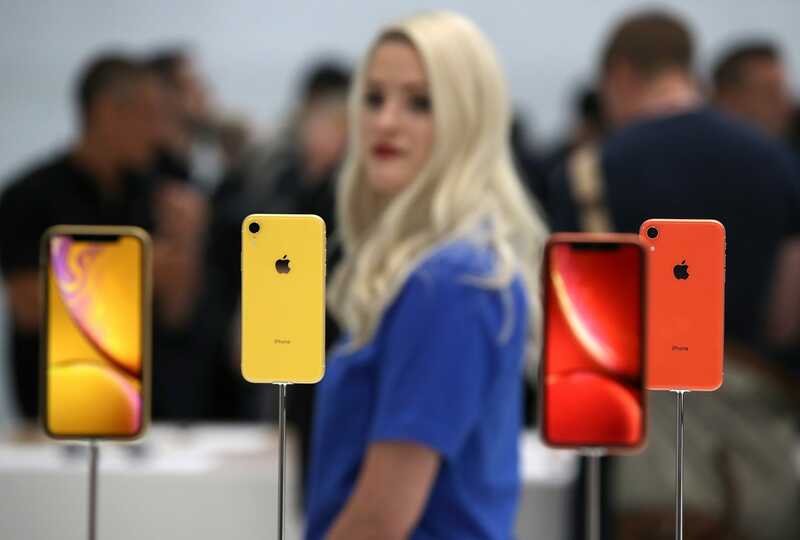 Apple needs to cut the price of its iPhone XR in China by as much as 20%, Wedbush analyst Dan Ives said in a research note Monday. The phone costs about $960 in the country, an example of Apple's "pricing hubris," he said. The danger for the company is that iPhone customers there will buy cheaper phones from rivals instead of paying Apple's price, Ives said. Apple needs to maintain its customer base to drive sales of its services, he said. 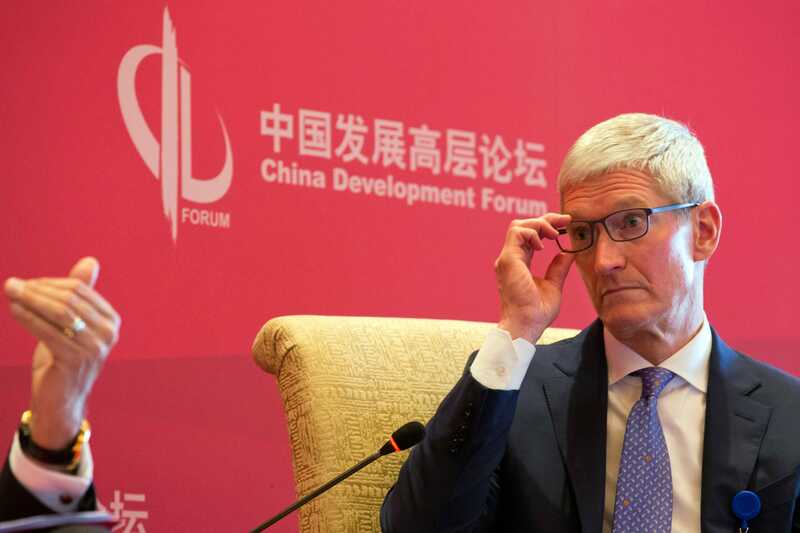 When it comes to China, Apple might be facing a "code red" situation and may need to respond to it equally dramatically with something it rarely does — cutting prices on recently launched products. 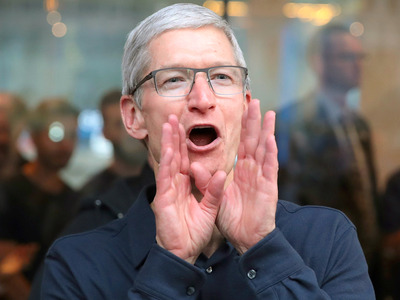 For Apple to successfully transform itself into a services company, as CEO Tim Cook has been talking about, it needs to maintain its base of customers, Dan Ives, an analyst who covers the company for Wedbush, said in a new research note. But it risks losing a significant chunk of its customer base in China because it priced its new iPhone XR too high, he said. To right its ship, Apple is going to need to "significantly" cut the price of the XR in coming months — perhaps by as much as 20%, Ives said. "Apple needs to make sure that over the next few quarters they do not lose any current iPhone customers, and thus speaks to the more significant price reductions on the way in China, in our opinion," Ives said. "This is a smart and necessary strategy." 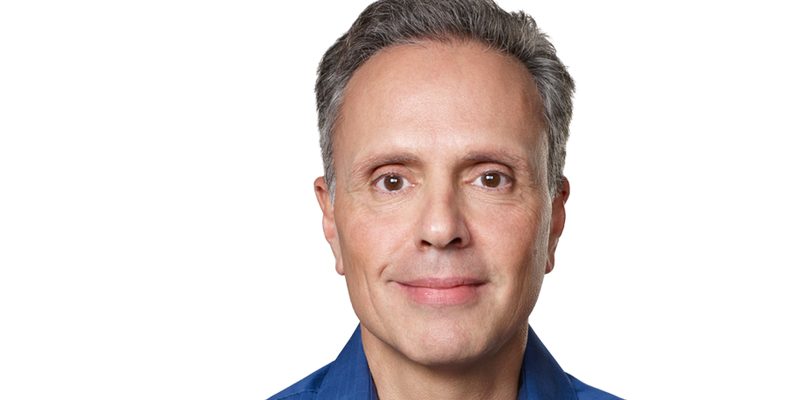 Apple representatives did not respond to an email seeking comment about Ives' report. Apple introduced the XR last fall as a lower-cost alternative to its flagship XS models. 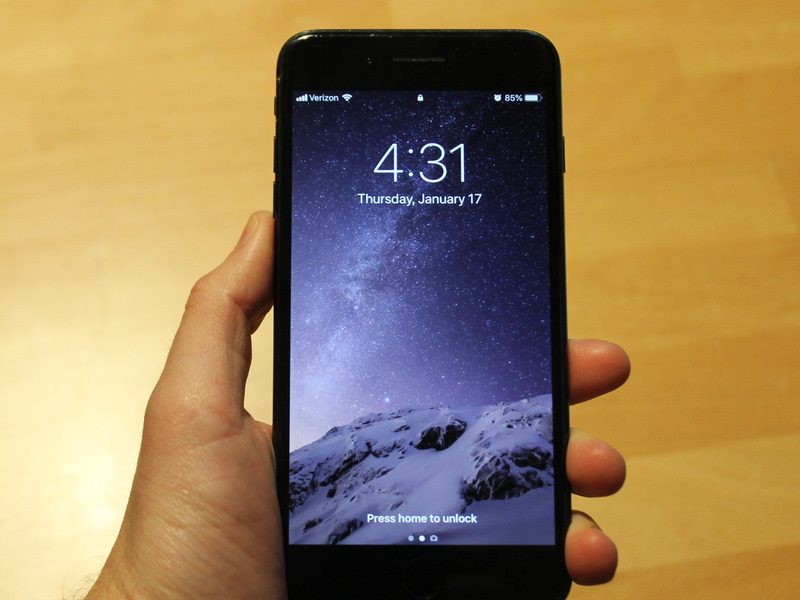 It has many of the same features, but it has a less costly screen and a lower price. While the XS models start at $1,000, the XR starts at $750. When it launched, some observers expected the XR to be a breakout hit. Instead, many consumers appear to be rejecting the XR as too costly. Apple has reportedly cut back on production of the XR repeatedly since it launched. 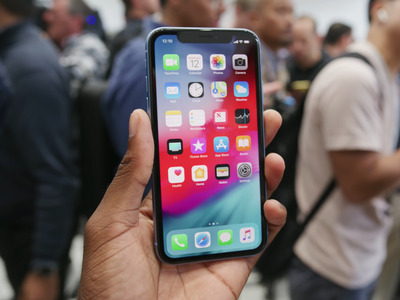 Earlier this month, the company warned that its holiday-quarter sales would fall short of its forecasts and blamed weak iPhone sales, particularly in China. Ives pointed a finger at the XR for that shortfall. There the device has a base price of RMB 6,499, which is about $960. "As we have discussed with investors, it has been Apple's pricing hubris on iPhone XR that was the major factor in the company's December earnings debacle," said Ives, who remains a bull on Apple's stock, with an "outperform" rating and a $200 price target. Many analysts, including Ives, believe that the future for Apple is in selling services to owners of its devices. The company's services segment has been one of its fastest-growing businesses in recent years and such offerings as Apple Music, iCloud storage, and the money Google pays Apple to be the default search engine for the iPhone. For its services segment to continue to grow, Apple will need to at least maintain its user base, Ives said. That's a chronic challenge. Smartphone owners tend to replace their devices every two to three years, and some use it as an opportunity to switch the kind of device they own from an iPhone to an Android device, or vice versa. Apple's customers have tended to be very loyal, but its pricing mistake for the XR could test those ties, particularly in China, Ives said. 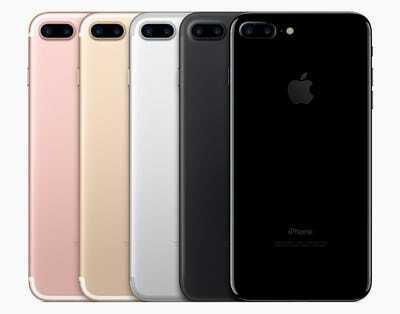 Some 350 million iPhones are due to be replaced within the next year to 18 months, he said. 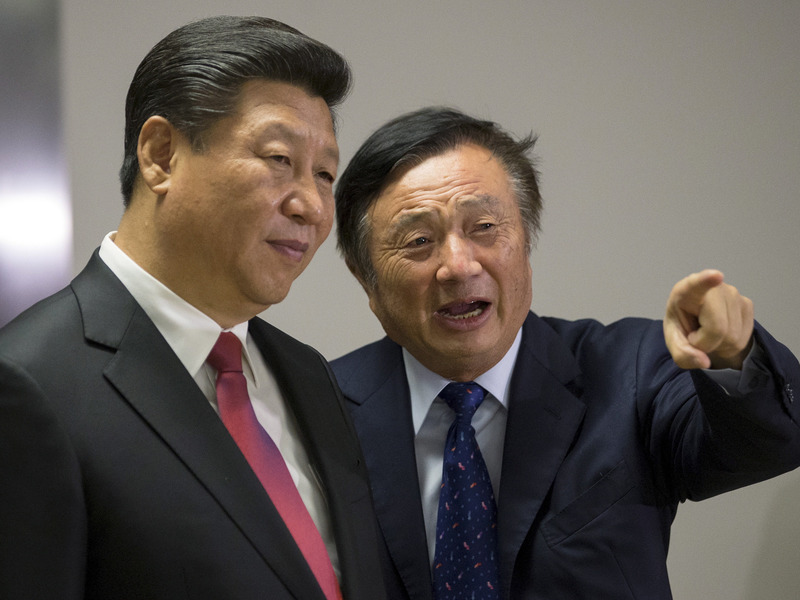 Of those, about 60 to 70 million are owned by Chinese consumers, he said. The danger for Apple is that those customers, because of its high prices, don't wait longer to buy their next device, but they buy a cheaper device from a competitor instead. That's why it's crucial for the company to cut its prices, he said. "If the installed base declines in China, Apple will face an uphill battle in the region for years," Ives said. He suggested that Apple could boost sales of the XR by cutting the price to about RMB 5,200, or about $768. Reports out of China in recent days indicate that some retailers are already slashing their prices on the XR and other iPhone models. The price cuts could worry already nervous investors, Ives acknowledged. Some may fret that Apple will take a further revenue hit from such reductions or that it would lose its image as a luxury brand. But such considerations aren't as important as maintaining its user base, he said. Cutting prices "is a smart and necessary strategy for Apple as this is an installed base story going forward," he said. The growth of its services business, he added, "will be driven off that premise for the next decade, with China a key ingredient in Apple's future recipe for success." If you're looking to take your career to the next level, it might be time to bet on cloud computing. Startups in the cloud market are garnering massive funding and massive interest. That's not surprising. 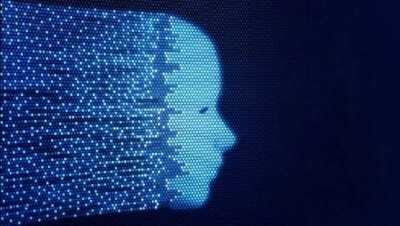 Cloud computing is expected to become a $300 billion market by 2021, according to analyst firm Gartner. The cloud computing market consolidates around Amazon Web Services, Microsoft Azure and Google Cloud. Over the last three years, job postings with key words on cloud have skyrocketed, and employer interest for "cloud engineers" has risen 31%, according to Indeed. A growing number of startups are creating tech that helps companies better use the cloud. We looked at a variety of factors when selecting this list including the experience of leaders and founders, the reputations of investors and the amount of funding raised along with valuations, based on data from online finance database Pitchbook, keeper of such records. What it does: Zapier connects Web apps together to automate tasks such as automatically copying Gmail attachments into Dropbox and alerting you in Slack. Why it's hot: This seven-year-old company has raised a total of $2.56 million. This year it revealed it has achieved a $35 million annualized revenue run rate. Oh, and by the way, at Zapier, you can work in pajamas from the comfort of your bedroom, if you really wanted to. This all-remote company even started a delocation package of $10,000 to move away from the pricey San Francisco Bay Area. What it does: Cohesity helps make storage back-ups less expensive, easier to manage, and easier to sift through for big data projects. 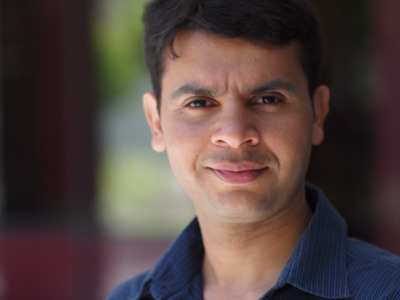 Why it's hot: Cohesity is the second act for its founder Mohit Aron, who had previously co-founded Nutanix. And its been growing like mad, so much so that in 2018, Cohesity landed a massive $250 million round of investment from Softbank's Vision Fund. It was only the second enterprise company to be backed by the massive fund. 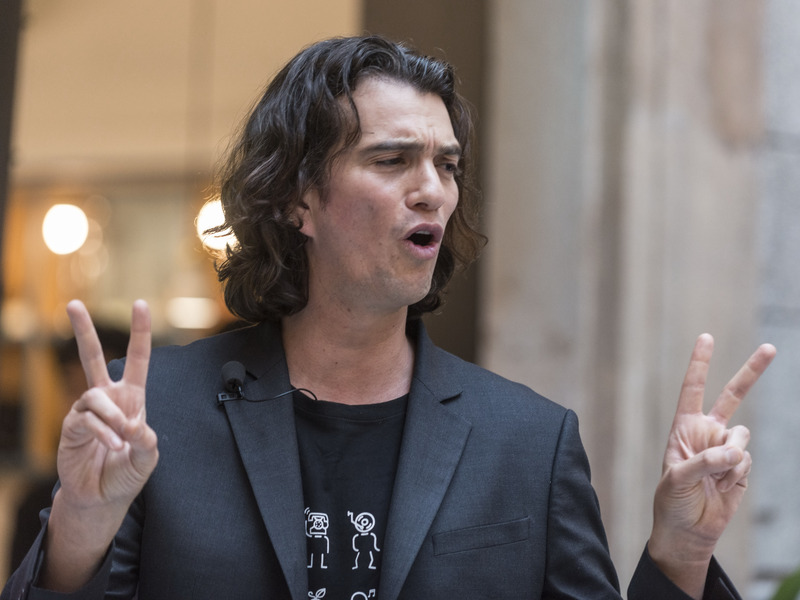 WeWork CEO Adam Neumann reportedly made millions of dollars by renting office space in buildings that he partially owns to his company, according to a Wall Street Journal report on Wednesday. Investors told The Journal that they're concerned that the situation creates a conflict of interest — if those buildings were to raise their rents, Neumann could stand to benefit. WeWork told Business Insider that Neumann has a stake in only four properties from which it leases space, out of the 400-plus coworking spaces the company operates globally, and the company said its board and investors are both fully aware of the situation. WeWork, the coworking company said to be valued at $47 billion, has been renting space in buildings partially owned by its CEO Adam Neumann, according to a Wall Street Journal report on Wednesday — an arrangement that's netted the executive millions of dollars. In a document for prospective investors last year, the company disclosed that it paid $12 million in rent between 2016 and 2017 to buildings "partially owned by officers" of WeWork, and said it will pay more than $110 million over the lifetime of those leases, according to the report. Neumann has a 50% stake in an 11-story New York City building where WeWork operates a coworking space, according to the report. The Journal also reported that Neumann is the "main investor" in a group that buys multiple properties in San Jose, California, some of which are leasing space to WeWork. A spokesperson for WeWork told Business Insider that Neumann has a stake in only four properties from which the company operates, out of its network of 400 coworking spaces globally. Furthermore, the company said everything has been disclosed to investors and approved by the board, adding that it hasn't heard complaints. "WeWork has a review process in place for related party transactions. Those transactions are reviewed and approved by the board, and they are disclosed to investors," the spokesperson said. Of note, however, is that, in a 2014 fundraising deal, Neumann was awarded enough equity in the company to exert voting control over its board of directors. While WeWork's board mainly consists of independent directors, Neumann's vote is enough to make or break any proposal. Earlier this month, the coworking company announced it would be rebranding from WeWork to The We Company, which it said would better reflect company's ambitions of moving beyond providing office space and pushing further into markets such as education or residential living. "The message to the US I want to communicate is: Collaboration and shared success. In our world of high tech, it’s increasingly impossible for any single company or country to sustain or to support the world’s needs." Disney World is ripe for technological disruption. That's according to Clayton Christensen, an author of "The Prosperity Paradox." Someone could create a more affordable, local version of Disney World so more people people can experience it. Economic development works much the same way, Christensen says: An innovation makes a product or service available to a broader swath of the population. The happiest place on earth is ripe for disruption. "Disruption" has become something of a buzzword in entrepreneurial circles, but if you ask the Harvard Business School professor who coined the term, it has a highly specific meaning. 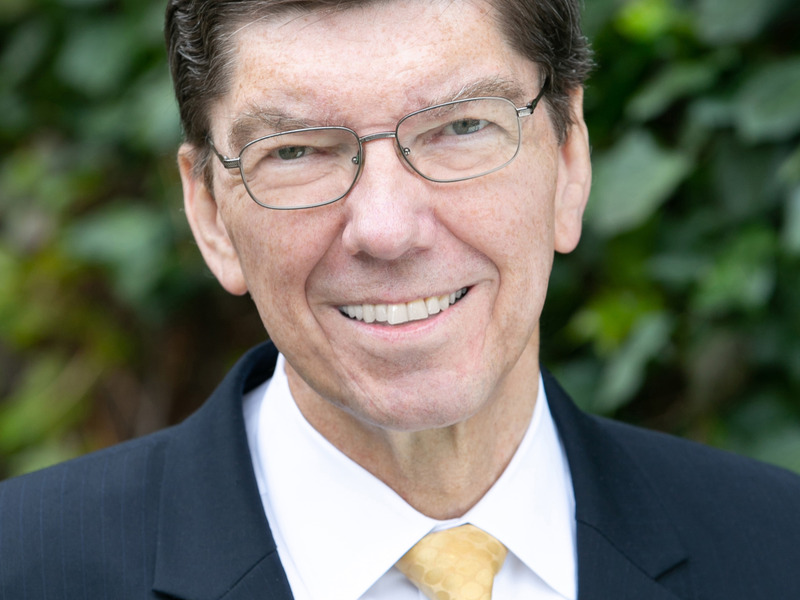 According to Clayton Christensen, the author of the 1991 classic "The Innovator's Dilemma" and an author, along with Efosa Ojomo and Karen Dillon, of the brand-new book "The Prosperity Paradox," disruptive innovation describes the process through which a smaller company with fewer resources challenges an established business. It does that by targeting overlooked potential consumers and offering something similar, typically at a lower price. The newer company then moves upmarket and mainstream consumers start using the product or service. In an interview with Business Insider, Christensen said, "Somebody needs to go out and create an entertainment system that would disrupt Disney." Specifically, Christensen suggested technology that would allow a larger population to partake in the experience. These are would-be consumers who would love to feel their stomach drop on Splash Mountain, but don't have the resources to trek to Orlando and spend a week in the parks. According to the Disney World website, it costs $109 for one person over age 10 to visit one park for one day. 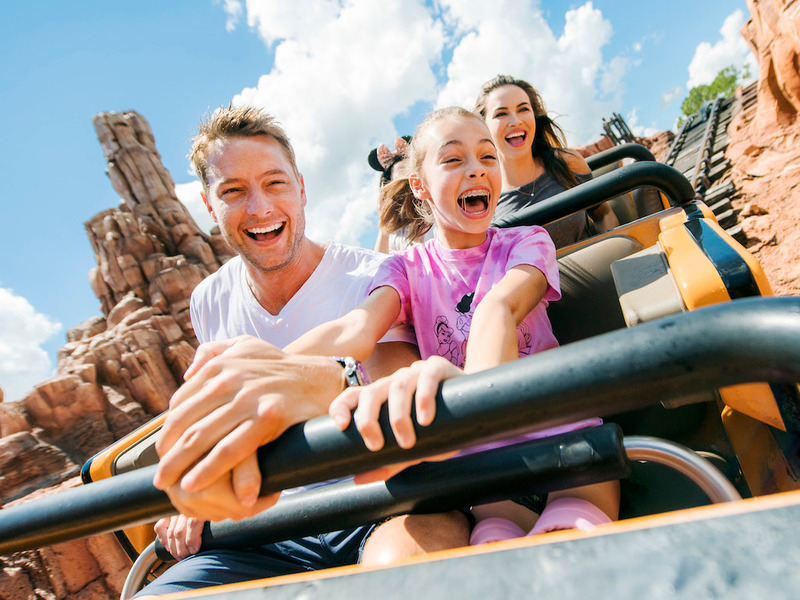 If you've got a family of four flying across the country, and you plan to spend a few days at the parks, you might easily wind up spending thousands. "Right now in America, if you have a family and you want to have an experience together that people will remember forever, everybody has to go to Disney to get it," Christensen said. "But, boy, that's expensive and you go into debt and ... in your whole life, you can only go to Disney once or twice." Christensen said it might be possible to synthesize that visit to Disney, making it "affordable and accessible for many more people to experience the product." He suggested a space where customers could sit down with some fancy gear and, say, go on a Cinderella or Star Wars ride. In other words, Christensen said, "find some class of people who are trying to do something that the wealthy can do." As it turns out, Disney's potential for disruption holds a powerful lesson about economic development. The (as-yet nonexistent) virtual Disney experience is an example of what Christensen calls a "market-creating innovation." This type of innovation caters to would-be consumers for whom a certain product or service is either unaffordable or inaccessible. They also create tons of local jobs. Electric cars in China, Christensen said, are prime examples of market-creating innovations; they're small and cheap, so that regular (i.e. not super rich) people can use them to make deliveries in crowded cities. The "prosperity paradox" refers to the idea that countries typically don't see improvements in their economic, social, and political well-being when other nations flood them with resources to "fix" poverty. Instead, these improvements often happen as a result of market-creating innovations being introduced. In a blog post on the Christensen Institute website, Subhajit Das writes that the current Disney World is an example of a "sustaining innovation," meaning it offers better performance (or more family fun, as the case may be) at a higher price point and a higher margin. Das adds that simply building new, less expensive parks isn't a viable solution, partly because the business model would be the same: adding new attractions to get more people to visit. 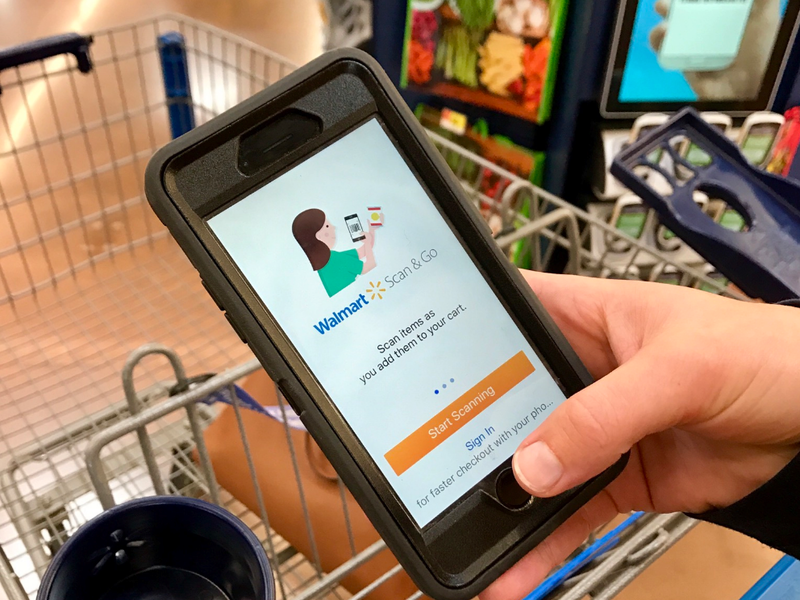 "A useful alternative would be one that enables everyone in the family to have fun together at a place that they can access easily," Das writes, using the example of a local mall. The idea here is to simultaneously enable more families to have the Disney experience and to create opportunities for new businesses to emerge and thrive. A magical combination, if there ever was one. Smart speakers comprise one of the fastest-growing device segments in the consumer technology market today. Ownership levels have nearly doubled from early 2017 to summer 2018. With this rapid growth, there are a few pivotal questions that both companies looking to develop and sell smart speakers as well as those looking to sell products, deliver media, and offer access to services like banking over these devices need answers to in order to craft successful strategies. In particular, they need to know who is and isn't buying smart speakers, and what consumers who own smart speakers are actually doing with them. 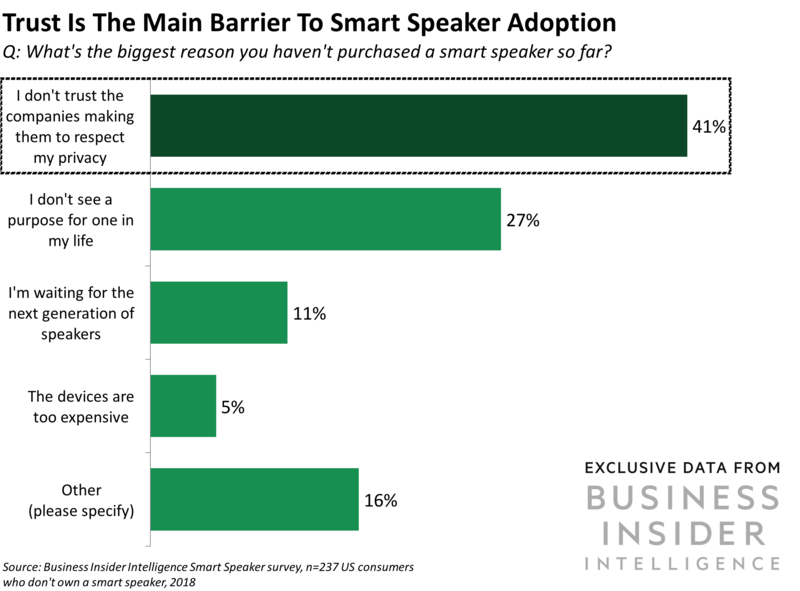 To offer these stakeholders insight, Business Insider Intelligence asked more than 500 US consumers about their knowledge of smart speakers, the devices they do or don't own and what led them to their purchase decisions, as well as the tasks they're using their smart speakers for. 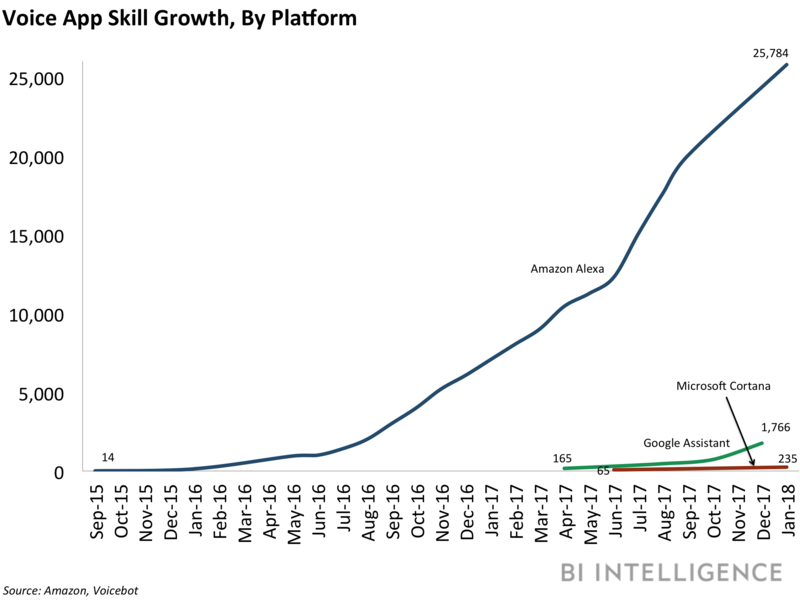 In this report, Business Insider Intelligence will look at the state of the smart speaker market and outline how each of the major device providers approaches the space. We will then focus on the key factors that affect whether or not someone owns one of these devices. Next, we will use our survey data to outline the reasons why people don't own devices in order to offer guidance for who to target and how. Finally, we will discuss what consumers are actually doing with their smart speakers — specifically looking at how the devices are used and perceived in e-commerce, digital media, and banking — which can help companies determine how well they're publicizing their smart speaker services and capabilities. The companies mentioned in this report are: Amazon, Google, Apple, Samsung, Facebook, Sonos, LG, Anker, Spotify, Pandora, Grubhub, Netflix, Hulu, Instagram, Snap. At the beginning of January, Apple announced that its holiday quarter revenue would be 7% lower than expected due to weakening iPhone sales. Not having upgraded my 7 Plus for over two years, I know I am part of Apple's iPhone problem. So, I made a trip to my local Apple Store and did some research to see if I should finally upgrade to an iPhone XR or XS. Here's what I decided. I am part of Apple's iPhone problem. You see, I own a perfectly fine iPhone 7 plus that I've had for over two years, and I feel no pressure to upgrade. My screen isn't cracked. All the apps I need are running smoothly (despite the occasional crash). And I like to think that my photos still stand up to my friends' who shoot with their new, notch-laden iPhone XR and XS. I was curious, though, how much it would cost to upgrade and would that cost be justified? The Face ID feature to open a locked screen seems nice (my thumbprint only works 50% of the time when it's sunny out and 0% when it's raining). And maybe having Portrait Mode on the front facing camera would help make me look less awkward in selfies. Maybe not. Anyways, I headed to my local Apple store in San Francisco's Union Square to figure out if I should finally upgrade or not. If I were to buy the cheapest of Apple's new phones — the 64 GB iPhone XR — my monthly fee would be $37.41 through its financing program. That $37.41 is exactly what I was paying per month for my 7 Plus. But since I haven't upgraded my phone for over two years, my monthly payments are no longer. Starting last September, I owned my phone outright and have been paying $0 to Apple since. So, if I were to upgrade, I'd have to get used to a monthly payment again. If I traded in my 7 Plus (which is in good condition), I would receive a $300 credit through Apple's GiveBack program. That credit could be used for future monthly payments and paying taxes on my next phone. Shoot! I always forget about the taxes. Let's figure that out real quick. The 64 GB XR retails for $749, and the sales tax in San Francisco is 8.5%. So to walk out the door with my new XR, I would have to pay $63.67 in taxes. After taxes, I would have $236.33 left from my trade-in credits, which would be enough to cover my first six months of fees on my new XR. That's not bad! Canopy Rivers, the venture arm of marijuana cultivation giant Canopy Growth, has so far participated in a $12 million funding round for marijuana analytics startup Headset, invested $6.8 in convertible debt into Greenhouse Juice Company to develop CBD beverages, and landed an $80 million loan from two of Canada's largest banks for a joint venture — all in the last two weeks. The firm has raised $200 million so far, but some of that has already been deployed, a Canopy Rivers spokesperson confirmed. The Greenhouse deal, announced on Monday, falls into what Canopy River's VP of business development Narbe Alexandrian calls "wave three" of the nascent cannabis industry. "We look at the cannabis industry as coming in waves," Alexandrian, a veteran of OMERS Ventures, Canada's largest VC fund, said in an interview. "Wave number one was cultivation, wave two is ancillary technology, wave three is CPG [consumer packaged goods], wave four is pharma, and wave five is mass-market, where you have your Coke and Pepsi-type oligopolies in play." Right now, it's all about CPG, Alexandrian said. "We're really looking for brands in this new wave of cannabis," said Alexandrian. It comes down to simple supply-and-demand economics: being only a cultivator doesn't cut it — wholesale marijuana prices will eventually fall, and margins will collapse. "If you talk to a beer company, they don't own any hops farms," said Alexandrian. "What they've developed is a strong marketing presence, and created a product that commands a premium because of the brand." That's what led to the Greenhouse deal. Nominally an organic juice company, Greenhouse owns 15 brick-and-mortar stores as well as an e-commerce platform. But Alexandrian said they can easily plug CBD products into their suite. "The technology behind how they develop their products is what really got us going," said Alexandrian. CBD or cannabidiol is a non-psychoactive compound in marijuana that's become a trendy ingredient in food and beverages. The company aims to market CBD-containing products across Canada — and eventually, in every jurisdiction where the substance is legal. "They've done a fantastic job of creating a brand locally, and we think that can be replicated over and over again," said Alexandrian. In order to make decisions about what products to develop, or what new markets to enter, they need data. That's where Canopy Rivers' Headset investment comes into play. "Our thesis behind that was: there's a lot of companies out there in the industry right now that are posting large growth and high revenue numbers, but they don't follow the same DNA as traditional CPG companies where you do two years of R&D before pushing out a product," said Alexandrian. Because the cannabis industry is so new, there are scant data to base decisions off of, so companies just push out product and "hope someone buys it," said Alexandrian. Headset wants to provide that data — what Alexandrian calls the "Nielsen" of cannabis — to help brands and manufacturers understand trends, customer habits, and what the market looks like before making costly decisions about developing new products. Overall, Alexandrian says it's "such a greenfield" for investing in marijuana. "If you believe like I do, that legalization is going to spread and the end of prohibition is inevitable in a lot of the industrial countries in the world, it's very early in the game and you can get a lot of value for both companies and shareholders," said Alexandrian. And that data is going to be crucial as more traditional CPG companies look to either make strategic investments or acquire marijuana companies outright as more markets open up. Expect these companies to become Headset's clients, the startup's CEO, Cy Scott, told Business Insider. 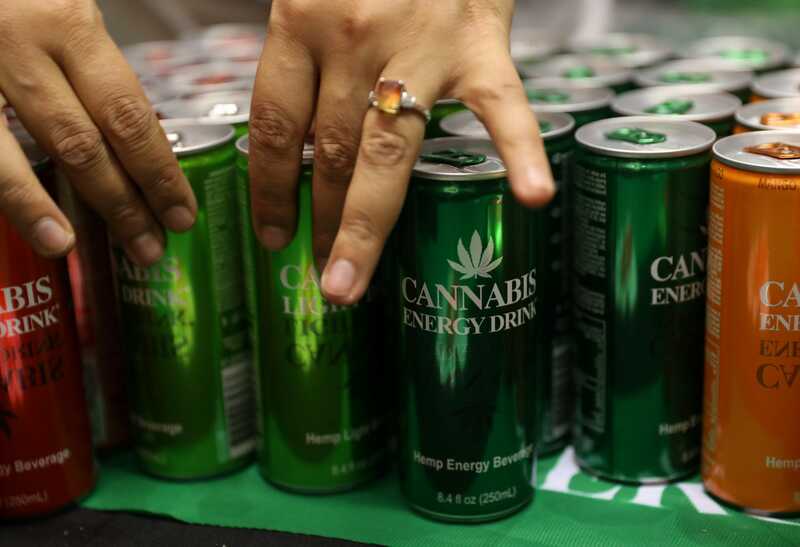 "We're getting a lot of interest right now from consumer-packaged-goods industry companies like beverage/alcohol, tobacco, pharma, and even financial services who are all interested in the cannabis industry," said Scott in an interview. Already major food-and-beverage companies have either pursued joint ventures or taken equity stakes in marijuana companies. Bill Newlands, the incoming CEO of Constellation Brands — the beverage maker behind Corona — said on the company's earnings call earlier in January that marijuana "represents one of the most significant global growth opportunities of the next decade and frankly, our lifetimes." Last year, Constellation closed a $4 billion investment into Canopy Growth, paving the way for other major corporations to move into the industry. Molson Coors entered a joint venture with Hexo in August, and Heineken's Lagunitas Brand has developed a hoppy, marijuana-infused sparkling water beverage for the California market. Business Insider compiled a list of the top lawyers who've worked on the biggest M&A transactions in the marijuana industry to date. Check out our exclusive, subscribers-only list here. After last year's midterm elections, some form of cannabis is now legal in 33 states, and many in the industry say it's only a matter of time before legalization sweeps the nation. Publicly traded cannabis companies were on a dealmaking tear in 2019, scooping up competitors and signing multibillion-dollar tie-ups with pharmaceutical, alcohol, and tobacco corporations. It's a trend heating up this year. In addition, many marijuana companies still directly flout US federal law, despite being publicly traded and posting multibillion valuations. That's an opportunity to a select group of lawyers who have cut a trailblazing path into the industry. 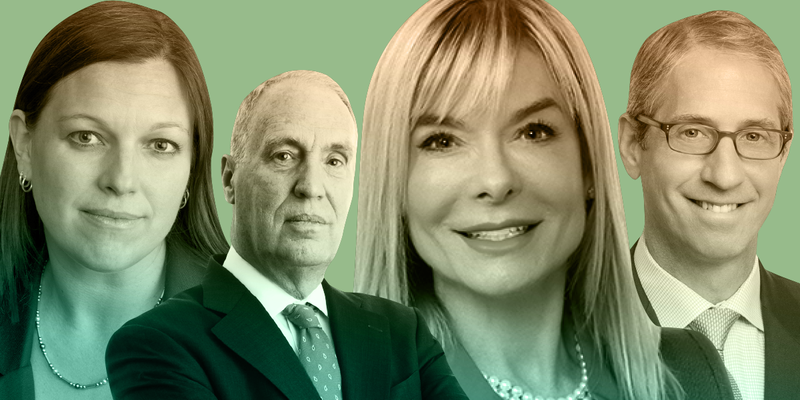 Once reluctant, some of the biggest law firms, like Duane Morris, Baker Botts and Dentons, are building out specialized cannabis practice groups as the industry continues to grow in profitability and complexity. And even some of the most world's most prestigious law firms, like Sullivan and Cromwell, have gotten in on the marijuana mergers-and-acquisitions action. Business Insider has pulled together a list of the top lawyers who've worked on the largest deals in the past year in the growing marijuana industry.